Imputation is one of the principle doctrines of Biblical Christianity. It means to write down in a record or ledger, and signifies setting to one's account or reckoning something to someone. The verb "to impute" occurs frequently in the Old and New Testaments. The apostle Paul assumed the debt of Onesimus when he wrote, "if he . . . owes you anything, charge it to my account" (Philemon 18). "Charge it to my account" is used in the Bible with legal reference to our sin and salvation. God imputes or accredits the perfect righteousness of Jesus Christ to the believing sinner while he is still in his sinning state. "God made the one who did not know sin to be sin for us, so that in him we would become the righteousness of God" (2 Corinthians 5:21, NET). God has manifested His righteousness apart from the Law “even the righteousness of God through faith in Jesus Christ for all those who believe” (Rom. 3:21-22). The reason for this judicial standing before a righteous God is because we have “all sinned and come short of the glory of God” (Rom. 3:23). The foundation upon which God can justify the believing sinner who is still in his sinning state is because this justification is “a gift by His grace through the redemption which is in Christ Jesus whom God displayed publicly as a propitiation in His blood through faith” (Rom. 3:24-25). From God's perspective, righteousness or sin is charged to an individual's personal account. Romans 5:12-21 teaches the imputing or charging of Adam’s sin to the entire human race. Because Adam sinned as the federal head of the human race, God considers all men as sinners. We are possessed of Adam’s nature (Rom. 5:12-14), and the sentence of death is imposed on us (Rom. 6:23). The effect of Adam’s fall is universal. We are all fallen sons and daughters of old Adam. We do not become sinful by sinning; we sin because we are sinful by nature. We sin because we are sinners. Adam's disobedience was set to the account of every member of the human family. Every person participates in the guilt and penalty of Adam's original sin. The judgment of God rests upon all men outside of a saving relationship with Jesus Christ because of imputed sin, our inherited sin nature and our own personal sins. Human experience shows that Adam and Eve's sin long ago have affected the entire human race. The guilt and penalty of Adam's sin was directly imputed to his descendents, so that all give way to the death (Romans 5:15, 18, 19; 6:23a). "In Adam all die" (1 Cor. 15:22). Adam's original act of disobedience has been charged to the whole human race. We all stand guilty in Adam before God. Adam acted on behalf of all humanity. Romans five affirms that just as Adam's act of disobedience brought spiritual ruin for mankind, so Christ's obedient submission to death on the cross brought righteousness and eternal life to all who believe on Him. Moreover, in a similar way, the sin of man is imputed to the sinless Savior, Jesus Christ (2 Cor. 5:21). 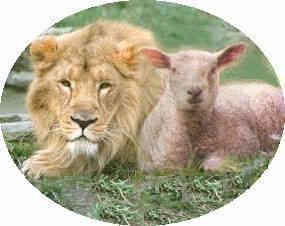 Jehovah, the LORD God, laid on His Son, the Lamb of God, the iniquities of us all (Isa. 53:5; John. 1:29; 1 Pet. 2:24; 3:18). There was a judicial transfer of the sins of man to Jesus Christ, God’s Sin-Bearer. The sin and guilt of the human race was imputed to the spotless and pure Lamb of God, Jesus Christ when He became the sin offering for the whole world (2 Cor. 5:14-21; Heb. 2:9; 1 Jn. 2:2). He bore the penalty for sin. God imputed the guilt of our sins to Jesus Christ. Let it be emphatically clear that Jesus Christ did not die for any personal sin that He had committed because He knew no personal sin in His entire life on this earth. He was the only person who ever lived on the earth who was sinless and pure. That qualified Him to die as a substitute for sinners. The imputation of sin to Jesus Christ was typified in the Old Testament sacrificial system, where the sins of the offerer were symbolically transferred to the animal victim. The scapegoat of the Day of Atonement (Lev. 16:20-22) graphically symbolized the transfer of human sin and guilt to the divine substitute. When the high priest laid his hands on the head of the goat and confessed the sins of the people he in effect transferred the sins of the people on to the animal (Lev. 16:22). The vicarious punishment implies the idea of the imputation of the guilt of our sins to Jesus Christ. He bore the punishment of our sin vicariously, its guilt having been imputed to Him. Our sins were imputed to Jesus Christ, and He went to the cross and died as our substitute (Rom. 5:6-8). Christ on the cross bore the punishment due to the believer's sins. God made Him to be sin who knew no sin (2 Cor. 5:21; Heb. 9:28). Furthermore, God imputes the righteousness of Jesus Christ to the believing sinner while he is still in his sinning state. As a result of His atoning sacrifice, Christ's righteousness is set to the believer's account. The imputation of the righteousness of Christ to the sinner lies at the heart of the Biblical teaching on salvation. “The righteousness of God” is credited to the person who puts his trust in the atoning sacrifice of Jesus Christ. This is what makes a person saved. This was true of Abraham (Gen. 15:6). It is true of every believer in Christ (Ps. 32:2; Rom. 3:22; 4:3, 8, 21-25; 2 Cor. 5:21). All of our sins were charged (imputed) to the account of Christ, and His righteous standing with the Father has been imputed (charged) to our account. There is a judicial transfer of the righteousness of God to the believer because there could be no other grounds of acceptance with a righteous God. God is the author of this righteousness. It is the righteousness of the apostle Paul. "More than that, I now regard all things as liabilities compared to the far greater value of knowing Christ Jesus my Lord, for whom I have suffered the loss of all things – indeed, I regard them as dung! – that I may gain Christ, and be found in him, not because I have my own righteousness derived from the law, but because I have the righteousness that comes by way of Christ’s faithfulness – a righteousness from God that is in fact based on Christ’s faithfulness" (Philippians 3:8-9, NET). This is the righteousness which God imputes to the believer in Christ. Thus we "become the righteousness of God" in precisely the same sense in which Christ was "made to be sin" (2 Cor. 5:21). We become the righteousness of God in the same objective sense through the imputation to us of the righteousness of Christ. The guilt of our sin was imputed to Him so that He bore its penalty. When the apostle Paul says "faith is reckoned for righteousness" (Rom. 4:5), the meaning is not that God accepted Abraham's faith instead of perfect righteousness as the meritorious grounds for his justification. God accepted Abraham because he trusted in God rather than in anything that he could do. Saving faith is not a good work (Rom. 3:24). It is a free gift. The true Christian is saved by free, unmerited grace. Faith is simple trust in the grace of God manifest in Jesus Christ with no claims to merit. It is salvation by pure grace. The believer's sin is covered, and he is counted righteous. Romans 4:6, says, "God credits righteousness apart from works." The logic of Paul's argument here demands that "to impute righteousness" has the same force as the word "to justify." The righteousness of God is imputed to all who believe on Christ so that they may stand before Him in all the perfection of Christ. It is true that the Christian is not yet perfectly holy or morally righteous; nevertheless, we are justified before the Law of God and are "clothed" with the imputed righteousness of Christ. Every saved sinner has been “made” the righteousness of God (1 Cor. 1:30; 2 Cor. 5:21; Rom. 5:21-23). This imputed righteousness is not something man does or earns. It is not "infused" righteousness. Justification and imputation are both forensic. This is a major theme of the apostle Paul (Rom. 3:21-5:21). When a person accepts by faith the work of Christ in satisfying the righteous demands of God's Law, God imputes or reckons to the believer this righteousness. Based on the merits of Christ, the sinner is granted a new legal standing; he is counted righteous even while a sinner. It is all about God’s grace. Grace rules when God’s people are made right with Him. God imputes righteousness by faith. This imputed righteousness is the same as justification without works or personal merit. Grace triumphs when God imputes righteousness that leads to eternal life. God sees the believer as abiding in His own Son. We have a new identification with Him by the baptism of the Holy Spirit. We are members of His body (1 Cor. 12:13; Jn. 15:1, 5). God sees us “in Christ” and justifies us forever. He sees us clothed in the righteous garments of Christ (Isa. 61:10; Rev. 21:2). Therefore the disastrous effects of the fall are effectively reversed for those who believe on Christ. The imputation of human sin to Christ makes possible the imputation of His righteousness to every believer. The imputation of Christ's righteousness results in justification before God's court of law. "So then as through one transgression there resulted condemnation to all men, even so through one act of righteousness there resulted justification of life to all men" (Romans 5:18, NASB95). The basis of the acquittal of the believer by a holy God is the merit of the atoning death of Christ. God imputes objective righteousness through faith in Christ's atoning Sacrifice. The merits of Christ's suffering and obedience are imputed to the sinner as the ground of his justification. The believer is righteous only by God's imputation of righteousness to him. The basis of justification is a reckoning to the sinner of an objective righteousness. How then shall we live our lives? We are now bondslaves, not of our old Adamic nature, but of the righteousness of God. The Holy Spirit produces through us God’s righteousness. “We are His workmanship, created in Christ Jesus for good works, which God prepared beforehand, that we should walk in them” (Ephesians 2:10). The imputed righteousness becomes the basis for a righteousness imparted through us by the Holy Spirit. Imputation is the firm foundation upon which we are justified by grace through faith. 1. The application of righteousness of Jesus Christ to the believing sinner is "imputation." The believer has the infinite riches of heaven at his disposal. God puts the moral capital of the Lord Jesus Christ into the empty, spiritual bankrupt account of the believer. 2. God offers to the sinner the perfect righteousness of Christ, apart from any religious works on our part. It is by grace and through faith in Christ Jesus. 3. Jesus Christ is our perfect righteousness. His righteousness is placed in our account. It is His free gift to us. 4. Everything the Law demanded of the guilty sinner God has provided in the substitutionary death of Christ. We can now rest in the righteousness of Christ. We stand before God, not in our own self-righteousness, but clothed in the perfect righteousness of Christ. 5. As a result of the death of Christ, the righteousness of Christ is credited to the believer. "Abraham believed the Lord; and He [God] reckoned it to him as righteousness" (Genesis 15:6). God supplies His own righteousness to satisfy the holy demands of His own character (Isa. 45:24; 54:17; Hos. 10:12).